Sleek but distinctive opaque sodalite tubes and rice shaped freshwater pearls. I have been delicately designed this necklace to be worn with navy, denim and air-force blue. An ideal gift for someone special. 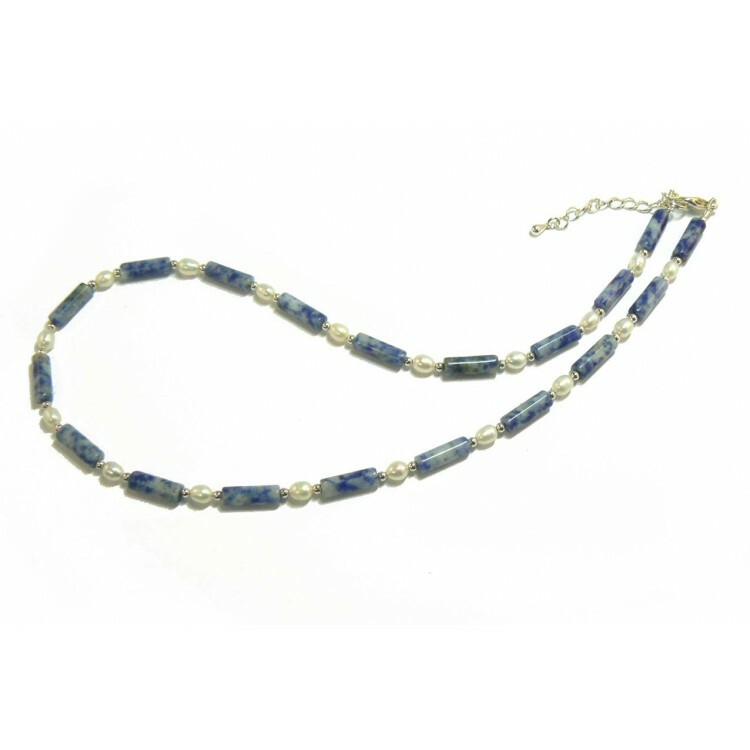 The space blue sodalite with distinctive specks of white calcite, have been blended with the white rice shaped freshwater pearls to make a delicate and gorgeous necklace. I have added tiny silver plated spacer beads which enhance the fabulous quality of the beads. The Necklace measures 18" (46cm) long, and I have finished it with a silver plated "nickel free" clasp and extension chain, to comply with EU directives.